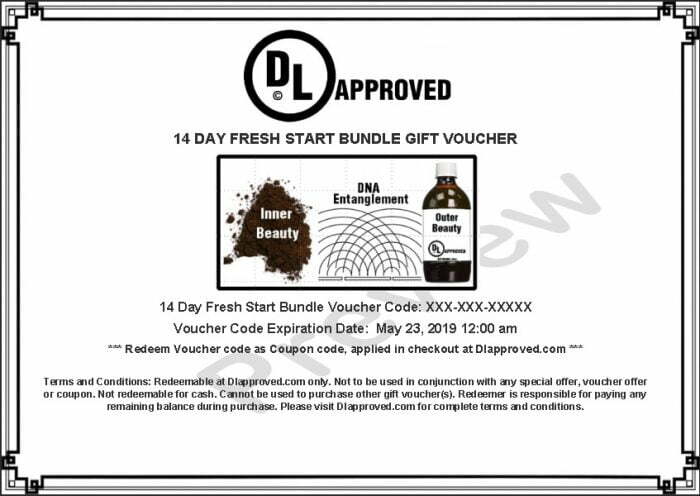 Gift Voucher redeemable for any DLapproved Body, Mind, Spirit, bundle. Immediate access to download pdf gift voucher. 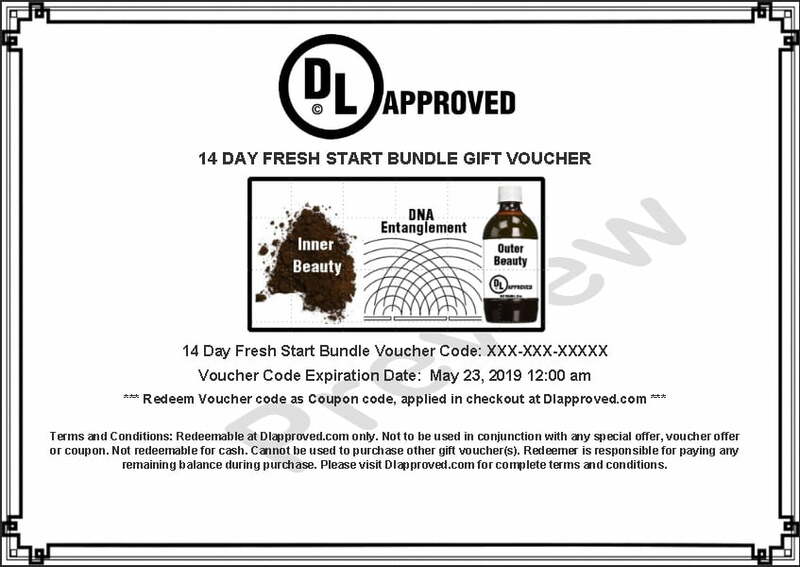 Unique redemption code per voucher good for one bundle purchase applied at checkout. Gift Voucher can be printed or emailed to recipient. Gift Vouchers include Free Shipping. Gift Vouchers saved as PDF are available for Download in MY Account member area. Non redeemed Gift Vouchers expire in 60 days.